Bart Simpson is the only one who knows of the aliens' secret plan and he has to stop them from collecting the items they need to build their weapons to take over the world. 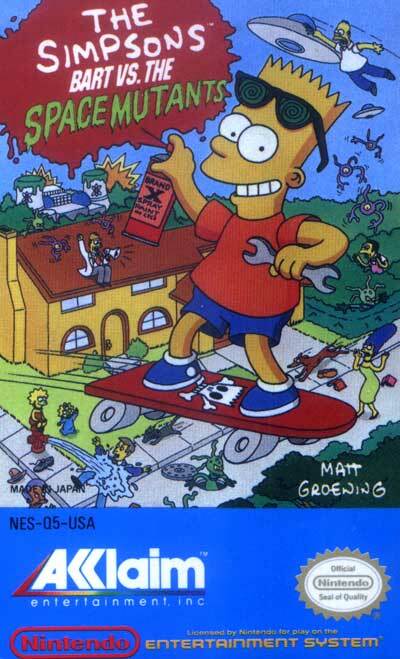 In each level, Bart must collect a certain number of a specific item, i.e. purple objects, hats, balloons, exit signs or nuclear rods, before he meets up with a boss at the end of the level. The bosses, like the levels, are familiar to fans of the Simpsons animated series and some of the television humor does appear in the game: in the first level Bart can make a prank call to Moe in order for him to run outside so that the player can spraypaint his purple shirt. Bart is only able to withstand two direct hits, and after three lives it is Game Over (if there are no continues or passwords available). Collecting Krusty icons can provide an extra life, and there are a variety of juvenile weapons to collect and use. Bart can also collect coins to purchase weapons or to gain an extra life.